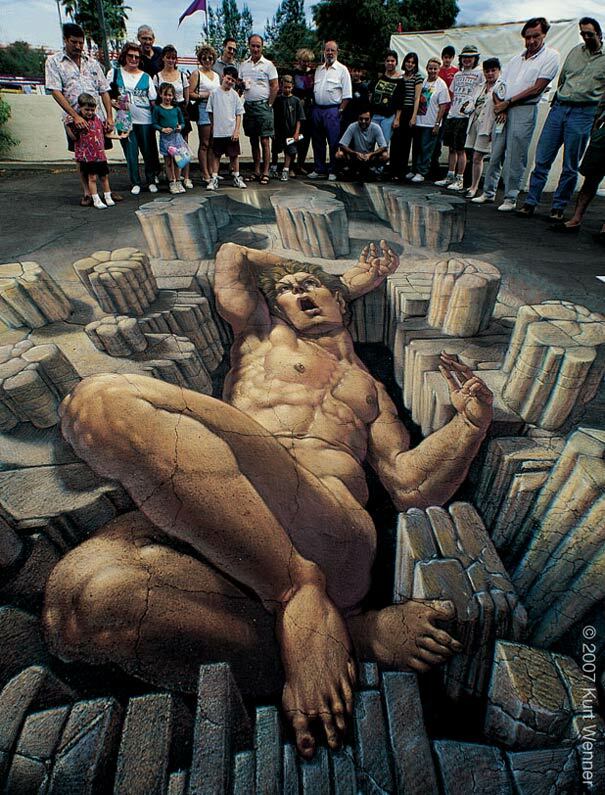 It is extremely funny 3d street art about giant with open mouth. Giant is a horrible appearance of man often appears in a horrible fiction. Artist makes the 3d street that appears like a giant break the street and creates a hole for rest his body. Also stones are placed near the giant make the painting genuine with 3d effect. In fact giant is designed with proficiency that his body not comes out of the street surface however it is in the level of street.